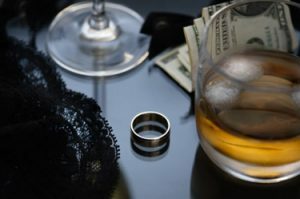 Do you think your spouse is cheating? Our agency often gets calls from individuals who suspect their spouse is cheating on them or is having an affair. Because these types of cases are so sensitive, they deserve special attention. Because this involves the entire family, including children, everything it at risk – Property, jobs, marriage, and more. The outcome can change peoples lives forever. Before we start this type of case, it’s very important to know as much as possible. Emotions play a big part in these matters and it’s not easy to talk about personal details, even to a close friend. It is even harder to do so with a total stranger. We understand this and we care. Just know that when you do call us, we are going to take time and listen to you and then try and offer a workable solution to help you find out what you need to know. If you think your significant other may be cheating on you, you may recognize some of the signs listed below. Most of these are common sense things, but are often overlooked. A new hair style or change in appearance. Different types of clothing or dressing habits. This includes new underwear too. Different perfume or after shave. Cleaning out the car more often. Sudden interest in diet and exercise. A change in work hours or schedule. Your partner suddenly gets a new phone. Or an additional phone not listed on the family account. Your partner jumps when the phone rings. You notice different ring tones then what you are used to. Your partner has a new interest in TXT messages. Your partner gets a call or message and starts to act nervous or has to run an errand shortly after. Your partner keeps their cell phone in their hand more often. Or, sits with it next to them. Or, even takes it to the bathroom with them. Your partner rearranges the room so the screen cant be seen from the doorway. Your partner changes the screen quickly when you enter the room. Your partner develops a need to wear headphones while surfing. Your partner checks email several times a day. Your partner puts a password on the home computer and keeps it to himself. Your partner keeps files on a memory stick and keeps it in their possession or hides it. We can help if you think your spouse is cheating. These are just a few of the things to look for. Go with your gut feeling, and if you feel you need more information, speak with a trained, licensed professional. Also, remember that there are legal issues to contend with. Cellphones and personal computers are considered private property, and you could get into serious trouble if you poke around with them. Alpha Agency has years of experience with these types of cases and we offer a free confidential consulting service to talk over your case. Remember, we are here to help you the the best way we can. https://alphaagency.com/wp-content/uploads/2016/05/feet.jpeg 200 200 Wayne Miles https://alphaagency.com/wp-content/uploads/2017/02/Alpha-Agency-Logo-with-Tag-Line-300x300.png Wayne Miles2018-01-04 02:28:352018-02-11 23:33:39Do you think your spouse is cheating? 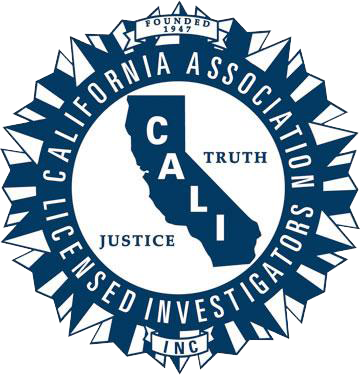 A word about Private Investigator Licenses. 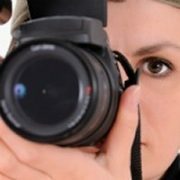 All Private Investigators in Florida MUST be licensed! Florida requires that an investigator hold a valid C License. 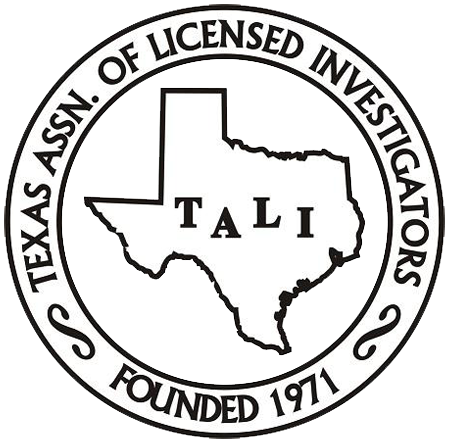 In addition to that, ALL investigators must work for an agency who has a valid A License. Please be aware of this before you contract with anyone who represents themselves as a PI. Ask to see their A License number and their C License number. (ie: A2900318 is our Agency License.) You will always hire the Agency. Never make payment to the investigator themselves. After you retain the agency, they will assign an investigator to work your case. That person needs to have a valid C license. They are required by law to carry it at all times while working. Ask to see that as well. If you suspect that an investigator is NOT legal, please report them to the licensing division. You can follow the links below to quickly verify the status of a license and file a report if needed. 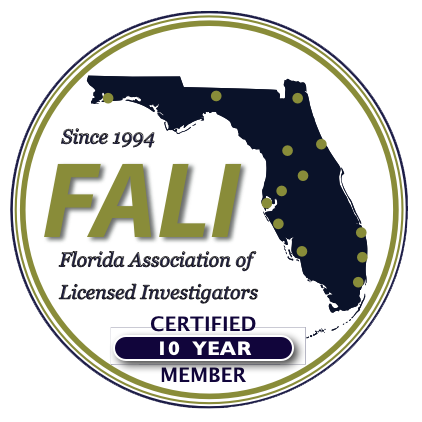 Contact us if you ever question an investigator in Florida and we will help verify that they are real. https://alphaagency.com/wp-content/uploads/2017/03/Unlicensed-Activity-Logo-White.jpg 2371 2334 Wayne Miles https://alphaagency.com/wp-content/uploads/2017/02/Alpha-Agency-Logo-with-Tag-Line-300x300.png Wayne Miles2017-09-09 22:39:392018-02-11 23:37:04A word about Private Investigator Licenses. https://alphaagency.com/wp-content/uploads/2017/04/Marketing-Video-Image.jpg 287 475 Wayne Miles https://alphaagency.com/wp-content/uploads/2017/02/Alpha-Agency-Logo-with-Tag-Line-300x300.png Wayne Miles2017-04-20 10:36:372018-02-11 23:40:49People have asked... "Who makes the advertising videos we use?" 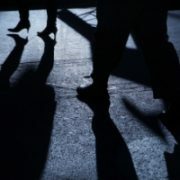 Private investigators are often called on when the police can’t help or more research needs to be done, and they’re no stranger to frantic phone calls from individuals who are being stalked, harassed, and frightened by unknown individuals. One of the founders of Bosco Legal Services recently had a scare that hit close to home, when a threatening phone call disrupted his family. This gave the company first hand insight into exactly how valuable a private investigator’s services are for safety and piece of mind. It was just an average morning. Jeremiah Jones’ (one of the co-founders of Bosco Legal Services) wife was driving the couple’s oldest daughter to school when they received a disturbing phone call. The man on the other line called her by name and told her he was going to come into her bedroom, then into their eldest daughter’s room, and then into their middle daughter’s room, referencing each of them by name. Jones’ wife immediately hung up the phone and tried to call her husband, who wasn’t available. She turned around and drove home to make sure everything and everyone was okay, and arrived distraught and frazzled, understandably so. The police were called, took down notes, and tried calling the number, but that was all they could do. “When he left, we didn’t have any warm and fuzzy feelings that the sheriff’s department was going to do anything else for us,” Jones wrote in a blog post about the experience. “It dawned on me at that point, that if like most people I had to wait for the police to investigate what happened, I may never have closure. Although this was a very real and scary situation for my family, with the limited resources that the police have and since no one was physically hurt, this was not high on their priority list.” Jones said that his children were terrified, frightened of being in the house but too scared to leave. Jones says that this gave him a new perspective of what many of his clients are experiencing, and decided to use the resources he had to move forward with the case. “Fortunately, by nature of my profession, I was able to get a hold of the head of our investigations department, who also happens to be my very protective brother, and I had him start the process of figuring out who had called and threatened my family,” Jones wrote. The initial searches revealed a phone number that belonged to an individual they had never heard of, and most of the information was several months old, as it often is. Jones wasn’t certain the information was accurate. So, Jones’ brother went a different route, reaching out to a source that had access to real time phone information. That source was able to reveal not only that this phone number had been activated only two days earlier, but also the name and address of the registered owner. 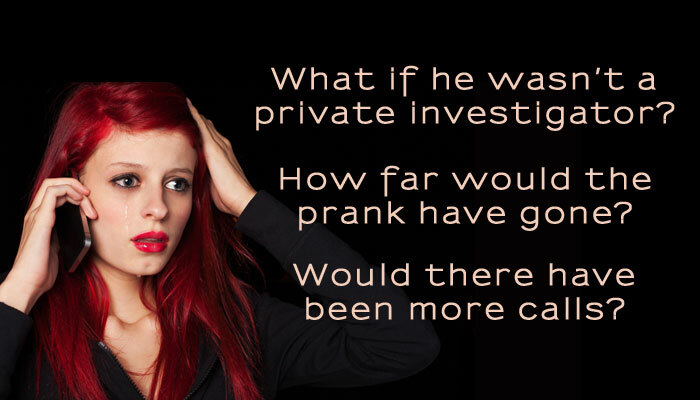 But what if Jones wasn’t a private investigator? What if his only option had been to rely on the police, and deal with an ongoing sense of danger? How far would the prank have gone? Would there have been more phone calls? In using his resources as a private investigator, they had the case solved and resolved withing 90 minutes of the original call, giving the family peace of mind. We couldn’t agree more. If you or someone you know is caught in a situation like this, always report it to law enforcement, then give our agency a call. We will most likely be able to help you. https://alphaagency.com/wp-content/uploads/2016/05/police.jpg 200 200 Wayne Miles https://alphaagency.com/wp-content/uploads/2017/02/Alpha-Agency-Logo-with-Tag-Line-300x300.png Wayne Miles2016-05-19 23:20:082018-02-12 00:22:39When police can't help. But I called the police! We hear this a lot! “We called the police, but nothing happened…” We recently had a case where a client said that a neighbor was harassing them at home about once a week, by doing things to torment them. Such as leave a toy gun on the front steps, or tip over a potted plant. It has been going one for a few months and was well documented. Each time it happened, my client would call the local police department. The police didn’t help much and said there was nothing they could do. Sure, they went and talked to the person, but they denied it. We decided to help out. What we did was install a hidden camera (we are pretty good at that!) at her front entrance way, and set up a motion activated recorder inside. After a month, we got a hit on the video. When we looked at it, we saw exactly what the client said was happening in the past. Same time of day, same person, same activity. The video was copied to a CD and the police were called. The same officer as in the past came by, and watched the recording. His comment after watching it was that seeing this happen exactly as in the past validated all the other occurrences. So he went and spoke to the person who was doing this one more time. He told them that they were “observed” doing this… and of course they denied it again. But this time he wrote them a warning and said if it happens again, they would be arrested. The harassment stopped. We continued to monitor for several more weeks, just to make sure. This is a classic example how we can assist our clients and get results. We produced evidence that law enforcement couldn’t ignore. If you have a problem like this give us a call. https://alphaagency.com/wp-content/uploads/2016/05/social-media-conversations-thumb.jpeg 200 200 Wayne Miles https://alphaagency.com/wp-content/uploads/2017/02/Alpha-Agency-Logo-with-Tag-Line-300x300.png Wayne Miles2016-05-10 06:21:272018-02-12 00:27:51But I called the police!